Total Trash WG. Total Trash. You must work for WG! Edited by SpectreHD, May 16 2018 - 16:03. Meh, too bad I won't play low enough tiers to encounter these abominations. Edit: I meant original tanks that are not copy and pasted with a well thought out price tag. Praise wg. It is true that some players are experiencing purchasing issues. We have already sounded the alarms and we're investigating at the moment. 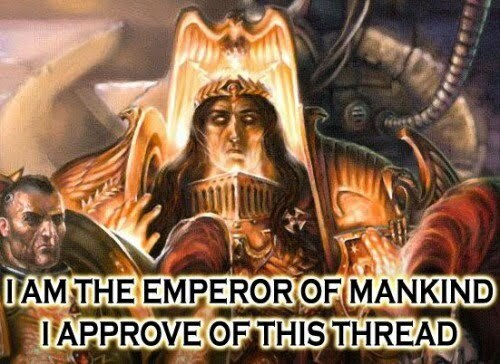 The God Emperor approves, mortal. Can we get the WoT Assistant updated with the new Italian tanks as well as this Warhammer KV-2 pleeeeeeaase? count me among them. I would love to have gotten a special crew "skin" for my Mordian Guard tank. Does the Mordian style for BDR get you camo bonus? Are you happy to pass on that a large majority of your players are not happy about the introduction of these tanks? Or is it only "good news" that gets passed on? It's just a bit of fun. I really don't see anyone playing the last run of premiums when I'm on, which is at least 5 days a week. Hardly any 5/1's and I'm usually the only Primo Victoria on. 40t's being maybe what I see the most. I see way more of the stock store premiums like the T34 or Rev. than any new releases. Like.. maybe a Mauer or T92 every few games. I don't think this is really a huge issue. I can't remember the last time there was an OP Premium that was in every game since the Defender. The real problem is power creep in the Soviet line and really slow pace of rebalancing. There are lot of tanks that are just a slog to play through now. Just what this game needed, more cancerous derp tanks, you even included a terrible fantasy skin. I for one can't wait for when WG sells the Type 5 anime edition. I would much prefer Wargaming to sell cosmetic sets and customization items that do NOT grant a game-play advantage over selling yet more OP premium tanks. This is a good move in my book, and I hope the trend continues; anything that hints at curbing the non-stop power creep is fine by me. Seeing as any player can just disable seeing the skins in their settings, everyone wins. Can't wait to see what crazy collaborations Wargaming has in mind next. All things considered, this is probably the only viable way to introduce fantasy elements. Keep them as skins for existing tanks that can be hidden by the 'historic camo only' setting and keep the aesthetics more or less in line with the existing tanks otherwise. Trying to actually put in anime tanks could only work as a minigame, if at all. Edited by Huma474, May 16 2018 - 18:16. Explore unique vehicles inspired by the Warhammer 40,000 universe. I am putting this nerd's post in Jello! To not even comment on the Custom Orc skin Upholstered Seats, the amount of missions completed with the Blood Angel detachments or Derping the way through the Battlefield. I hope it is obvious that this sale fell off the back of the truck on it's way to my top notch Tank Wholesale emporium. Yes you can represent the empire or be a heretic and find the option to disable KRZY camos in your settings. Sadly this also turns off your ability to see my TMNT themed "Mutant" tank. Oh and any Clan camo. You sure you want to miss out your chance to kill my Michelangelo? Thank you WG! So excited for a Premium KV-2! And a 0 BIA crew on top of that! I think it's worth pointing out that you don't have to sport the 40K scheme with this tank. It can go naked or with camo just like the normal KV-2. So it too could be TMNT schemed. 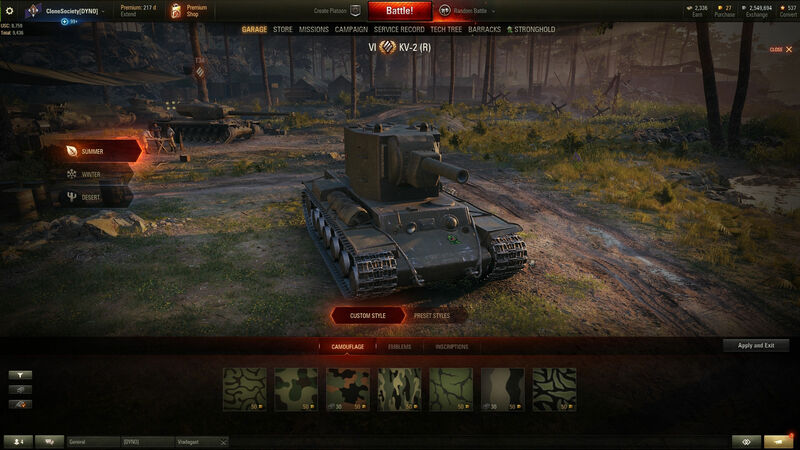 This is not the worst thing to happen to World of Tanks. If you make money, and we have the option to not see ridiculous skins, it's really a win move for all. So, does this mean that the NA server can finally get the Valkyria Chronicles Edelweiss and Nameless? It's pretty hypocritical to allow tanks from one bullcrap fantasy game but not another. Hopefully not. One of them is OP for its tier and well beyond the fantasy of a paper napkin drawing tank. Does the premium KV-2 have premium credit making and premium XP earning or is it just a reskin?